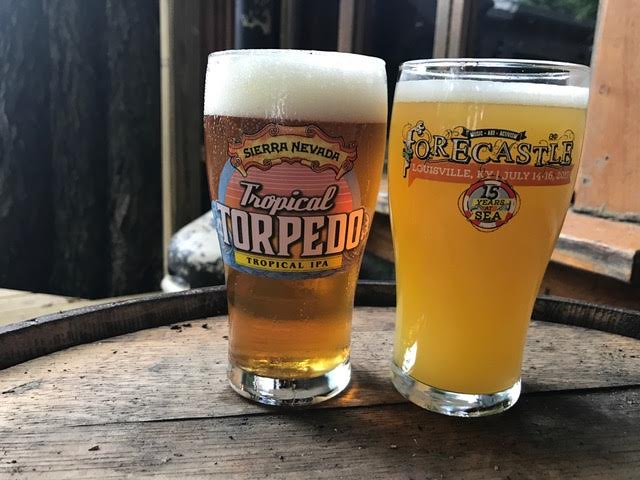 Flanagan’s will be serving up two beers from Sierra Nevada tonight, and one of them will come in a cool Forecastle Festival glass you get to keep. First up at 7 p.m. is the Sierra Nevada Tropical Torpedo, which sounds delicious because they mix a hoppy beer with island flavors like mango, papaya and passionfruit. I think this is a beer for me. Next up, at 8 p.m., they’ll be tapping the Sierra Nevada Sidecar Orange Pale Ale, another interesting concept mixing hops with citrus. I believe this is the one that will be served in the Forecastle glass, and it’s one I’d also like to sample. Not sure I’ll make it tonight, but I will certainly try.